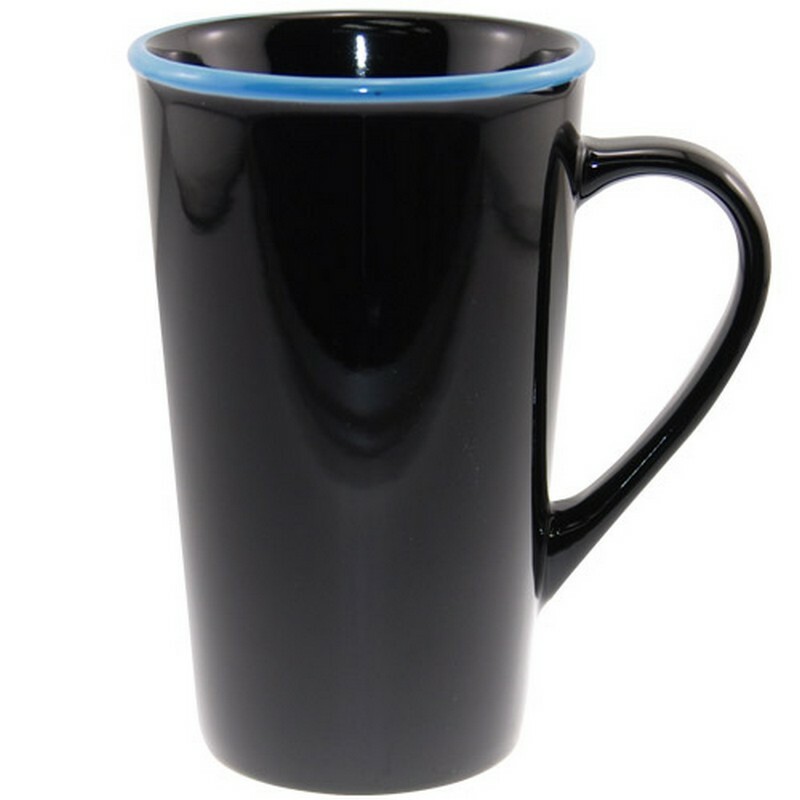 16oz ceramic mug. Colored accents on lip of mug. Microwave safe. Hand wash for mugs is recommended. Bulk packed.